Bahá’í devotional gatherings are opportunities to join in prayer with others, regardless of religious background or affiliation, in a spirit of unity. 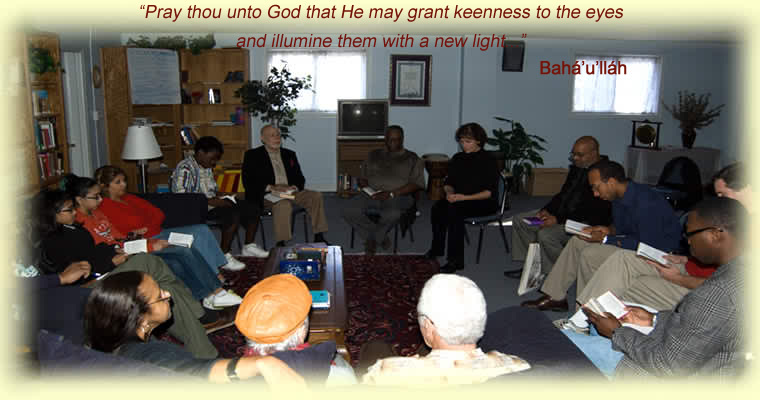 Bahá’ís host devotional gatherings in their homes and at other locations. These gatherings may include music, reading of scripture, discussion and refreshments, although the primary reason is to use the power of prayer to strengthen the spirit, transform, revitalize and unify. © 2013 Bahá'ís of Greenville, South Carolina. All rights reserved.